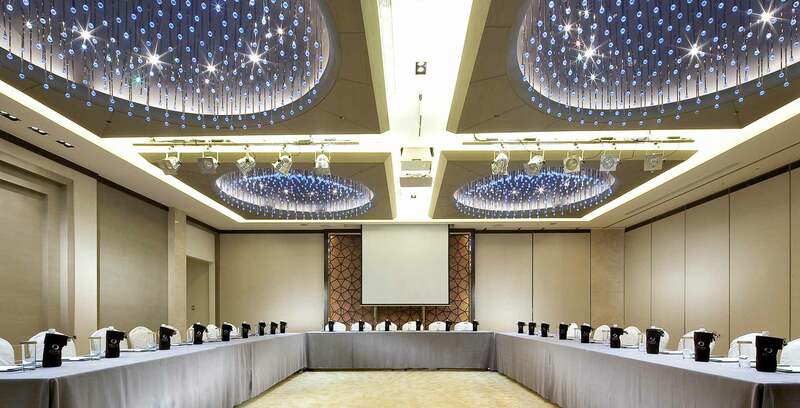 The resplendent and innovative Grand Ballroom reflects the visual image of facing the sun, the dazzling main lights shine with glazing rays resembling blossoming sunflowers; where as the petals of the carpet dance with hope while facing the sun. 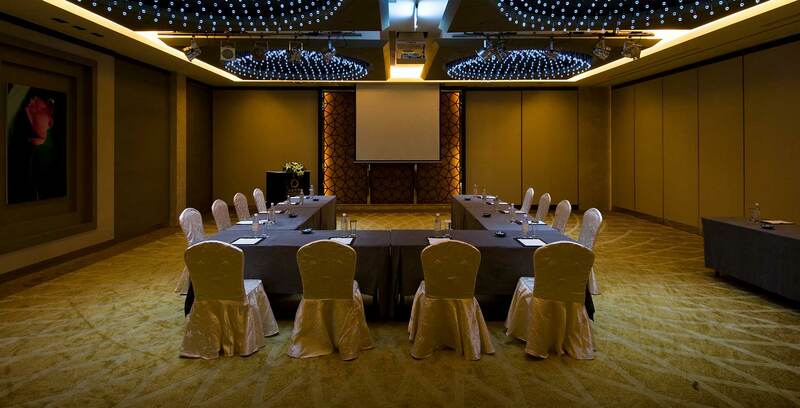 The commodious and tranquil space together with the advanced digital technological facilities and human-based services allow it to become the ideal venue for business meetings and private gatherings. 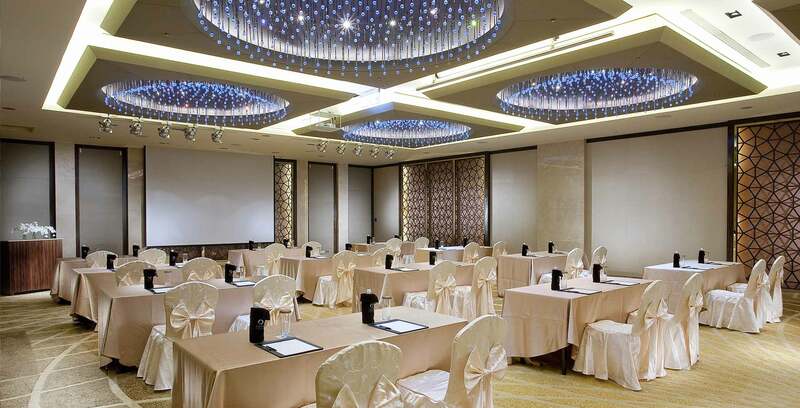 The Ballroom can hold 250 people. 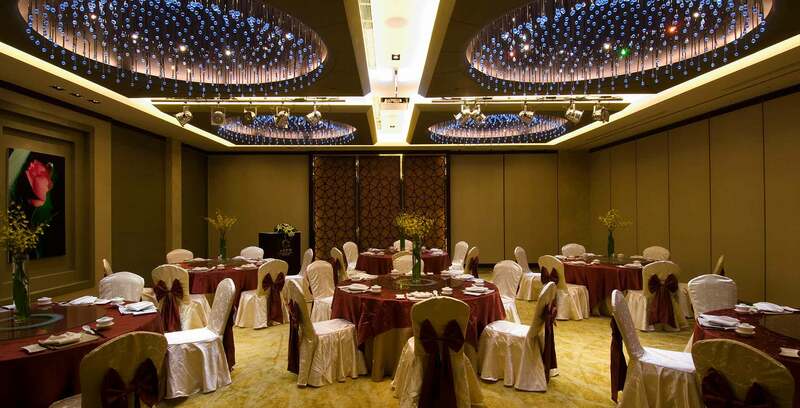 It is divided into the Sun Hall and the Moon Hall. 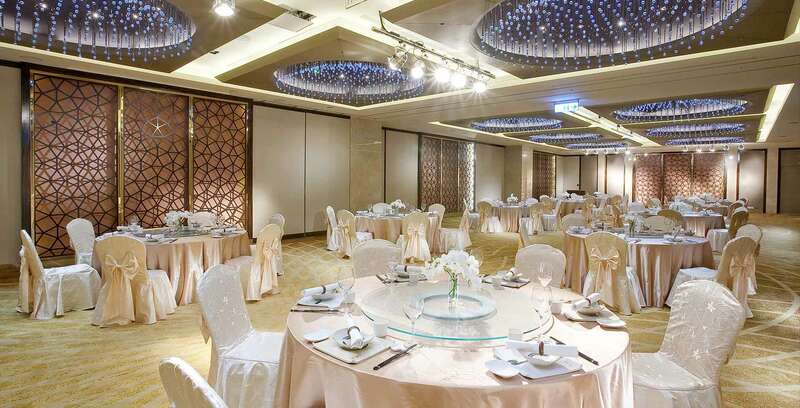 Style: Banquets, cocktail parties, wedding feasts, national meetings, grand meetings, various seminars; offers Chinese banquets and delicious buffet from various countries, set meals, cocktail parties and meeting meals and beverages, teatime desserts.